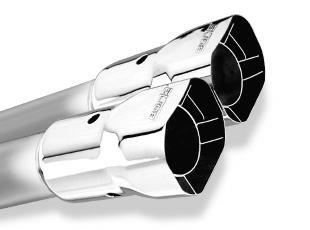 Borla Polished Muffler Tip - Dezod Motorsports Inc - Home of the automotive performance enthusiast since 2002. Add fine motorsport styling to your vehicle with BORLA’s mirror-polished tips. Precision computer controlled CNC manufacturing ensures a perfect fit, while premium Aircraft-Quality austenitic Stainless Steel construction gives you maximum durability and a street-commanding look that lasts for years – we guarantee it for a cool million miles.